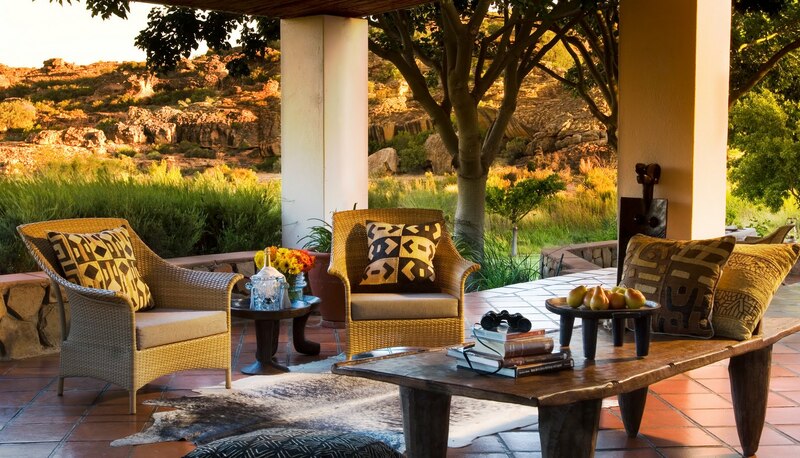 Nestled at the foothills of the Cederberg mountains, 270km from Cape Town, Bushmans Kloof is the ideal wilderness getaway to escape the city and relax. Malaria and predator free, the reserve offers wide open plains, ancient rock formations, waterfalls and an abundance of flora and fauna. 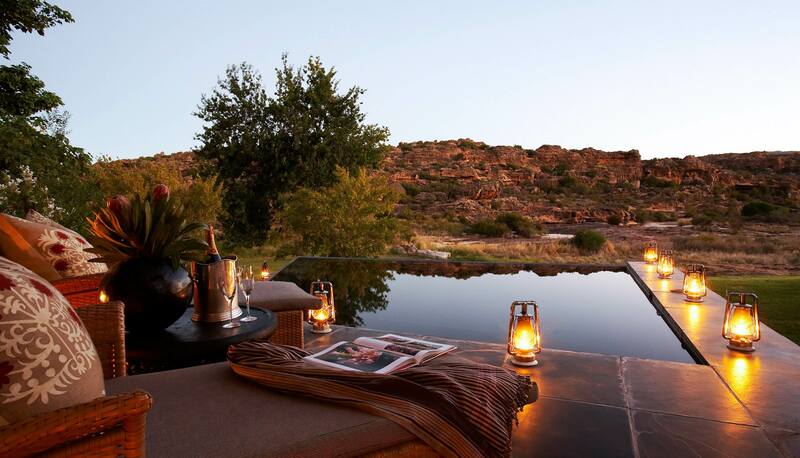 Offering the very best in luxury accommodation, Bushmans Kloof is an exclusive and private wilderness reserve and wellness retreat situated at the foothills of the Cederberg Mountains in the Western Cape. 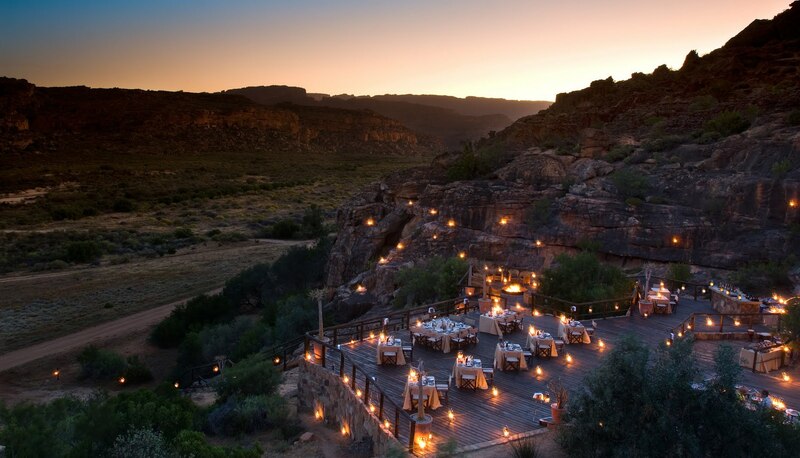 This semi-arid Karoo region is vast and ruggedly beautiful, with the Reserve encompassing 7,500 hectares of malaria and predator free protected land that also includes many exceptional Bushman rock art sites. 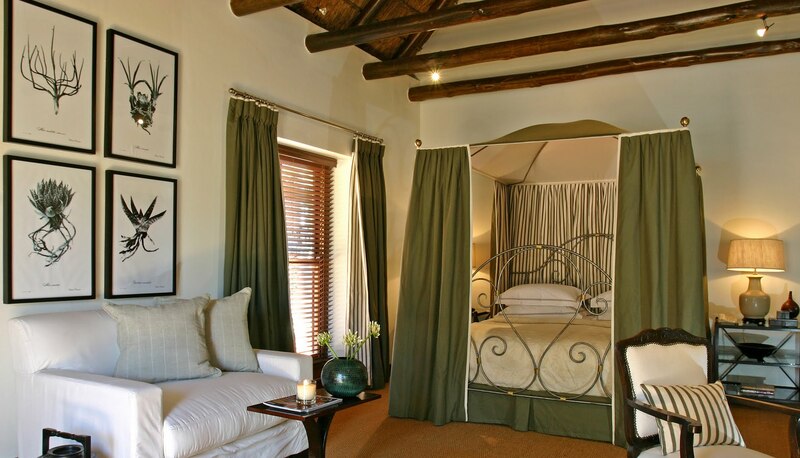 There are 16 generously spaced, luxurious and individually designed en-suite bedrooms and suites at the Main Lodge. All are sublimely appointed, indulgently comfortable and finished with countless thoughtful details. Features include under-floor heating, air-conditioning, a well-stocked minibar, tea and coffee facilities and private terraces with magnificent views. Deluxe rooms and suites are larger with a lounge area, satellite television, iPod docking station and fireplace. 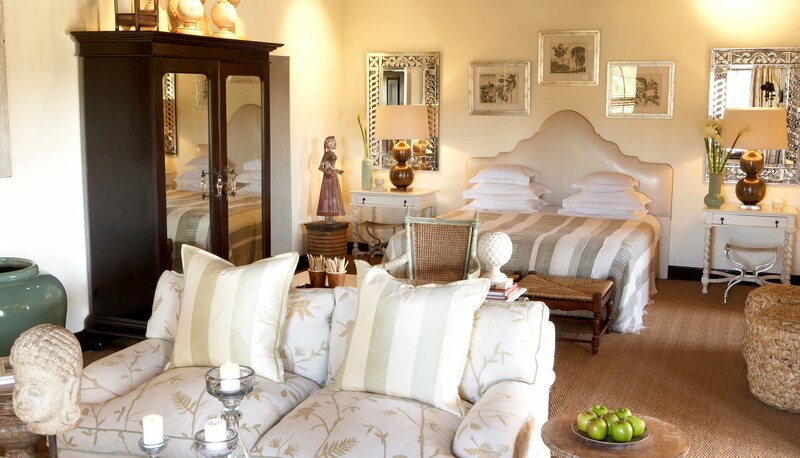 Set behind the rooms and surrounded by beautifully landscaped gardens, The Homestead with its old world charm and elegance, lies at the heart of the lodge. Complete with two stylish lounges and fireplaces, the bar, award winning wine cellar, library and guest computer, and the spacious restaurant which exudes service excellence. The small terrace is great for al fresco lunches; there is a heated outdoor swimming pool, mini gym and a couples Spa treatment room. 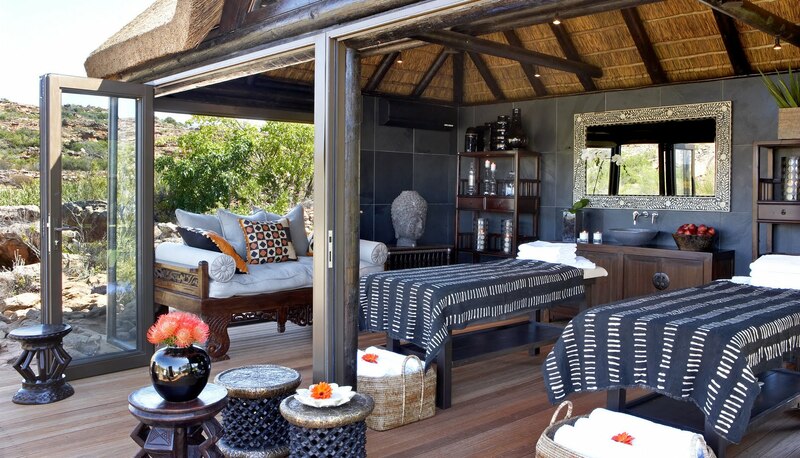 Additional facilities include a variety of breathtaking outdoor locations for dining, the river Boma with open air seating, the Heritage Centre displaying ancient Bushman artefacts, another three outdoor swimming pools surrounded by lush lawns and stunning views, and the award winning Spa that includes a private Spa Gazebo on the river’s edge. Guests can savour the views and sunset on an evening nature drive while also observing some of the 150 bird or 35 mammal species (antelope, zebra, foxes and aardwolf), partake in guided excursions to the more than 130 ancient San rock art sites, Fynbos excursions (July – October), mountain biking, fly fishing, canoeing, archery, hiking, jogging, yoga or painting. 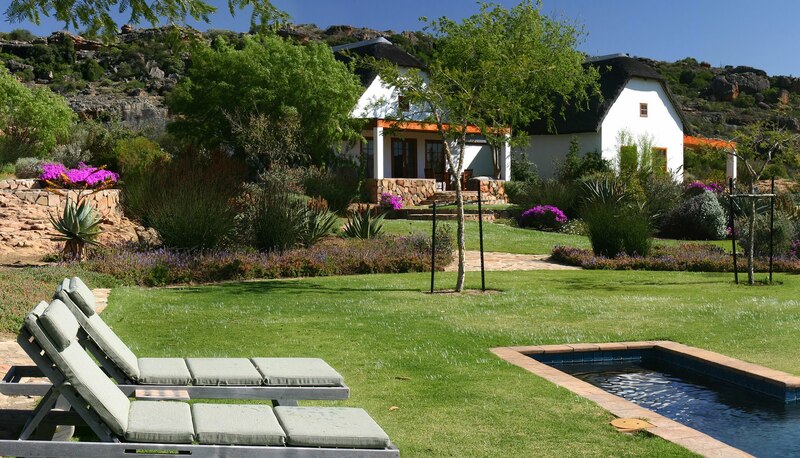 A traditional farmhouse transformed into a spectacular secluded luxury villa, Koro Lodge lies in in glorious isolation a few minutes drive from Bushman’s Kloof Lodge, Koro is embraced by never ending views of the surrounding natural beauty. An independently catered for wilderness (sleeps 8-10 guests), Koro is popular with families (children of any age are welcome) or groups of friends who want privacy and freedom to customise their stay yet still have the Bushmans Kloof experience. Created through natural fibers, earthy tones and traditional South African finishes the décor is all about layers, textures and details. Koro Lodge has two master bedrooms with en-suite bathrooms (one includes an outdoor shower), an entertainment lounge with en-suite bathroom (sleeps two), kitchen, bar, dining area and living room with fireplace, loft area accommodating four children, swimming pool, outdoor BBQ area and wraparound verandahs kitted out with comfy chairs. Features include air-conditioning, under-floor heating, ceiling fans and dual-view satellite television with the services of a personal chef, guide and host. 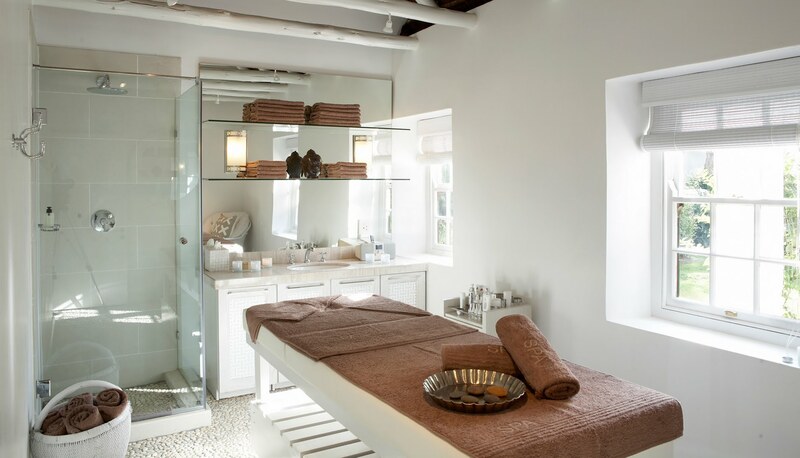 Spa treatments at main lodge or selected treatments at Koro can be arranged on request. The focus of Koro is on a tailor-made holiday surrounded by splendid luxury. 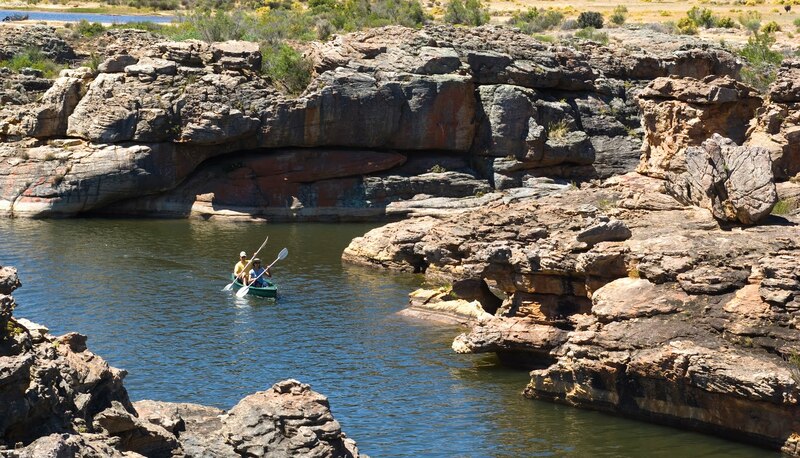 Guests can design their own programme to include rock art walks, nature drives, mountain biking, canoeing, hiking, fly fishing or archery or they can just relax in the magnificent surrounds. The service, organic cuisine, varied dining venues and superb facilities have won Bushmans Kloof international recognition. Guests can choose from a range of outdoor activities, or do absolutely nothing but succumb to the peace, quiet and tranquility. A Relais and Châteaux property. Please Note - No mobile phone reception ensures complete serenity and tranquility. There are landlines in all rooms and suites and complimentary WiFi throughout the lodge.